On Saturday March 25th, Explorium Denton participated in the University of North Texas’ Big Event! 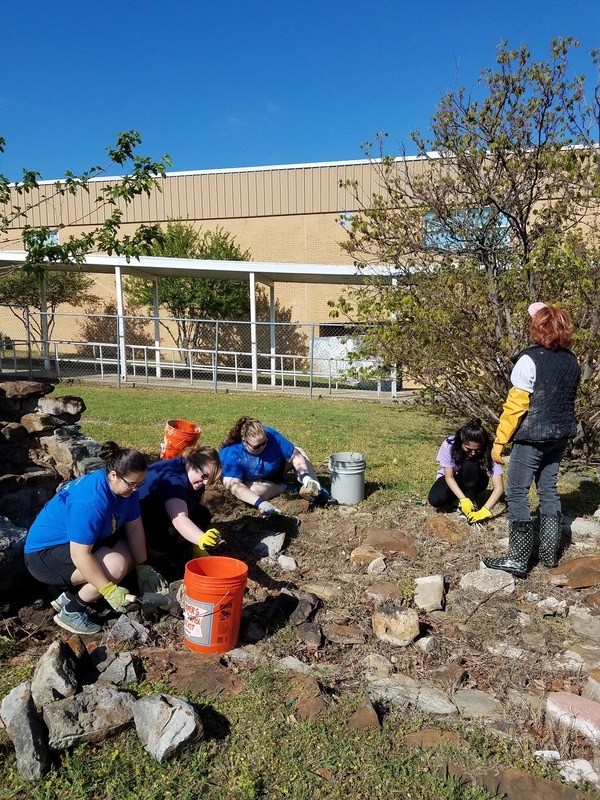 From 10:00 to 2:00, students from UNT’s Alpha Chi Sigma Professional Chemistry served with us at Calhoun Middle School’s garden to assist in the beginning of a major cleanup of the entire garden. The focus of the cleanup was on the garden’s pond, which had not been cleaned for a decade. 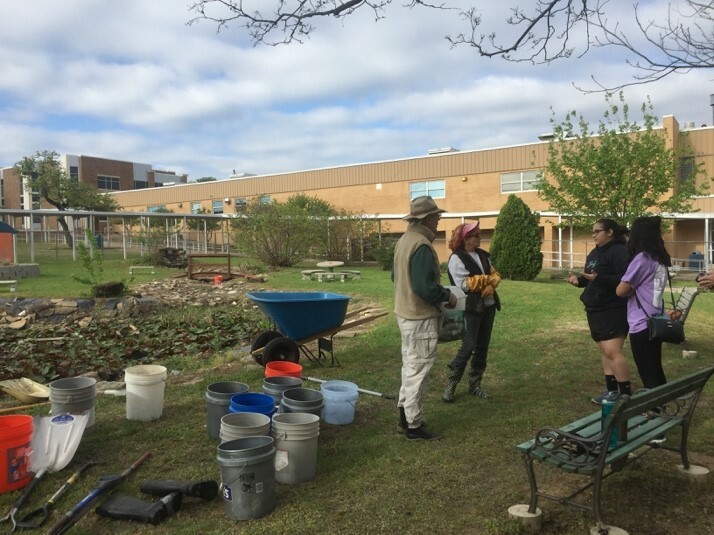 On Friday, the pond was drained which allowed students the opportunity to begin cleaning the inside of the pond, which meant removing rocks, debris, and even some nasty spiders! 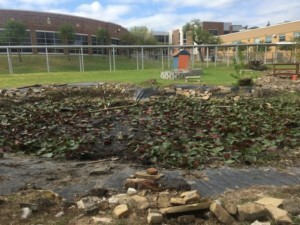 For four hours, UNT students rebuilt the pond after a decade of it being forgotten and neglected. 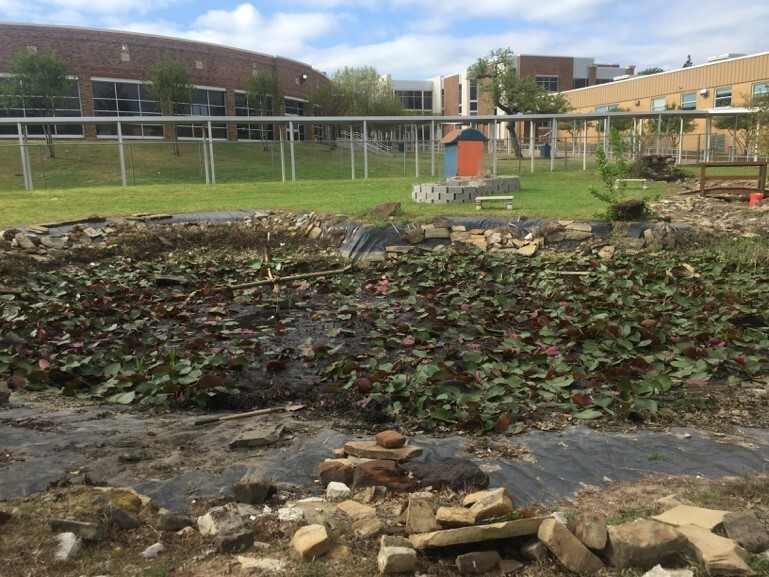 There were a variety of different sections being worked on by various groups on students: the main pond itself, the stream that feeds into it, a couple keyhole planters, and other small gardens. This mostly meant removing piles of dry, dead weeds, which eventually filled half a dozen 20-gallon trash bags. A couple trash bags were also filled with actual trash found in and around the pond. 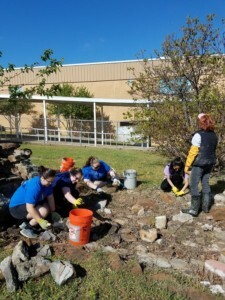 Alongside the UNT students, we also had assistance from master gardeners in the Denton area. 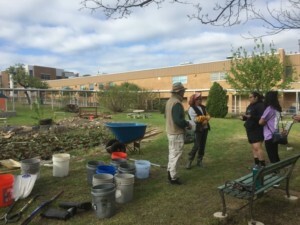 Their strong expertise in gardening truly allowed for us to learn more about how to properly garden and maintain a pond. Overall, this garden cleanup was just the beginning of more cleanups! Ultimately, we will be using this garden for a local summer gardening project where we will have the opportunity for parents and children in the Denton area to learn about how to garden and then gain experiences with gardening with a local community. We had a great day filled with hard work and we are excited to share this garden with the community and Calhoun Middle School very soon! Stay on the lookout for more information regarding our summer gardening camp!